Seeking a barrel-melting blizzard of white geese. Stepping into the blackness of the Manitoba night after a hearty breakfast, we were slapped in the face by a chilling, wind-driven rain. As I pulled up my hood and turned my back to the slop, I came face to face with the devilishly grinning countenance of longtime friend and outfitter, Randy Lewis. Swarms of snows are a welcome sight to light goose hunters. "Great weather for killing snow geese, eh?" he challenged. While I couldn't disagree, his words were of little comfort. I'd lain out in snotty conditions many times -- some with great success, and others, very little. At my advancing age, I question my sanity more now than ever before, but I still go outside and play in such nasty weather. It's both a throwback to my youth and a credit to the grip white geese have on me. For a kid growing up in the Midwest, the days when a blizzard would roll in and shut down school unexpectedly were special. Snow days were a bonus: A time to sack in, watch TV, and most importantly, a time to get outside and brave the elements just to prove we could. But all of the unanticipated good times came with a price. Clearing driveways and walks was literally backbreaking work, shovel by tedious, gawd-awful heavy shovelful. There were no snowblowers in the 1950s, and no personal pickups or SUVs on which to mount a plow. It was just plain bull work you were obliged to do to help out your hard-laboring father. Then, even worse, when the season's snow was but a faint memory, we were faced with a makeup day that shortened the summer break. It was a cruel circumstance to be sure. As we sat huddled in the decoy trailer, a thoroughly muddied crew taking temporary refuge from the driving rain prior to the day's hunt, I thought, "Just why do I do this?" The answer, oddly enough, is founded in the snow days of my youth -- days really not so different from those I now spend in pursuit of white geese. Although it is hard to believe given the abundance of almost all species of geese these days, mine was a goose-deprived youth. Growing up in eastern Wisconsin in the 1950s and 1960s, we were lucky to draw a Horicon Zone blind or permit that allowed us one Canada goose per season. And at that time, killing a goose anywhere else in the state was nothing short of newsworthy. Back in the day, a good number of snows and blues used the migratory corridor along Lake Michigan. A hunter who came across a resting or field-feeding flock of these rare birds was fortunate. A budding waterfowl addict even then, I noted the regulations allowed the harvest of five light geese per day. While that didn't mean much to a Wisconsin hunter, I knew it must to my counterparts elsewhere. I vowed early on that somehow, some way, someday, I'd take advantage of the opportunity the apparently abundant white geese provided. Incorporate motion into your decoy spread to help entice snow geese to land. The most realistic spreads emulate a field of feeding birds. Today, we all know the story. Our light goose populations have exploded. 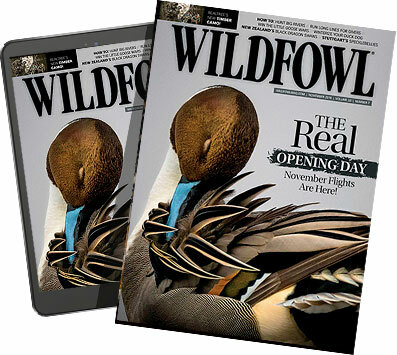 While that's been bad news for the fragile arctic and subarctic nesting grounds, it has been nothing but good news for waterfowlers, as the birds provide more hunting opportunity today than ever. Unlike the precarious existence led by so many of our waterfowl species, light geese have always been able to take the hunting pressure. Hunters don't need to have even a hint of remorse when we are fortunate enough to experience a banner snow goose shoot. Now, depending on your perspective, hunting white geese amounts to either the ultimate challenge in the world of wildfowling, or a study in total frustration. With so many variables involved in hunting snow geese, the birds are going to win more often than not. Could be the weather is just too nice, when birds come off late, high and en masse. Complicating matters is the fact thousand bird flocks are led by wily veterans -- geese that have served a dozen or more years in the nearly year-round goose wars. When the old birds don't feel an urgent need to rest or feed, they seemingly can easily distinguish a hunter's spread as just another pathetic decoy rig. Or it could be a lack of untested, uneducated, naturally apt-to-kamikazee juvies in the flocks, thanks to that year's bust on the nesting grounds. Heavily pressured birds -- late-season birds having been gunned all along the flyway -- prove all but impossible except under worst-case weather scenarios. Ah, but when you've done everything right, you find yourself set up where the geese want to feed. Your decoy rig looks realistic. You're properly concealed. The weather -- ugly, breezy, classic low-ceiling weather -- is in your favor. You're shooting straight. And your stars are finally aligned. Well, there's just nothing in the world of waterfowl quite like the satisfaction that comes from winning a skirmish with Whitey! For all but those few waterfowlers who live in prime snow goose hunting country, most notably the prairie provinces of Canada and the Dakotas, gunning white geese can be an expensive proposition. If you're a freelancer who prefers to do it all on your own, expect to motor across several states and well up into Manitoba, Saskatchewan or Alberta to hunt white geese on their first major pit stop after departing the breeding grounds. Hooked behind your gas-guzzling pickup or SUV better be a trailer full of gear. You'll be packing upward of a thousand decoys, likely of several pricey configurations, the requisite low-profile layout blinds, an ATV and associated paraphernalia that all told, requires an investment of more than $10,000. Upon arrival at the Promised Land, you can expect to put on hundreds of miles more spotting birds and locating landowners who will grant permission to hunt them. In fact, plan on spending more windshield time than actually hunting. A successful freelance operation requires a major time investment as well. Plan to spend a minimum of 10 days to two weeks on each freelance trip. And more if you can afford to. Only after you have years involved familiarizing yourself with the lay of the land and its owners can you effectively get by with less time. A layout blind must allow the shooter to rise and shoot with ease. Oh, did I mention the work involved with freelancing? Doing the decoy drills. Throwing and pulling a major snow goose rig daily, especially after what is always a short night's sleep, is not for the faint of heart. Plan at least an hour of hustling each way for setup and teardown with a crew of four equally dedicated (demented) enthusiasts. The option to freelancing of course, is going with an outfitter. However, booking an outfitter doesn't guarantee success. Not all guides and outfitters are created equal. That said, a lot of great outfitters offer white goose hunts. Do your homework -- get and check references. Outfitters rates vary, based mainly on the type of packages they offer. But none are inexpensive. Still, if a three- to five-day hunt is all you have time for, outfitters who provide all the gear, scouting and setup are the way to go. Especially since virtually all the time you have will actually be spent hunting. Now, I haven't pushed the numbers. But when all expenses are considered on a cost-per-bird basis, I suspect the difference between fully equipped freelancing and hiring a reputable outfitter is a lot less than you'd think. Done properly, the investment and commitment to hunt white geese is going to produce substantial rewards for the serious wildfowler -- the most obvious being great shooting. Stick with it until you get it right. Eventually, you will experience a barrel-melting, North American waterfowl shoot of a lifetime. With 20 birds per day allowed throughout the flyways in the fall, and no-limit regs in several states during the spring conservation order hunt, a classic snow goose shoot can provide the type of gunning that rivals any you've heard of or read about from "the good old days." No other species of waterfowl is equipped with the flight characteristics and the overall acrobatic ability of snow geese. Nearly always cautious and hesitant, snows tend to kite high over the spread, appearing to make little forward progress as they parachute to within fringe range, rocking back and forth on stiffly bowed wings, while craning their necks and heads from side to side. When they bust you -- as they routinely will -- and begin to backpedal or peel off on the wind, hunters are left with naturally questionable 45- to 50-yard shots at best. Complicating a gunner's sight picture further is that snows vary greatly in size, ranging in weight from four-pound juveniles to adults pushing seven pounds. Mix in the Ross's goose, the diminutive three-pound cousin of the snow, and judging distance really gets interesting. The author's dog, Tanner, retrieves a lesser snow goose in a Manitoba field. Then too, just when you've settled into the rhythm of long-range, low-percentage gunning, a flight of the ever-unpredictable snows will totally commit, breaking into an all-out, wing-over-wing, altitude-dumping whiffle that allows them to close from 100 to 10 yards in what seems, as your gun barrel unsuccessfully tracks their erratic flight path, little more than two or three seconds. So, is it the toughest, yet most fun gunning in the world of waterfowl? You bet! And if you don't agree, it's probably because you haven't done it. Gunning snows has a downside. To do it well you'll need a big gun, high-test ammo and the willingness to take the pounding the combo will give you. Even with the best in weaponry, you better be prepared to have the birds humble you. Whiffing. Forgetting it. And trying the next barrel-straining shot is all part of the snow goose game. As for the spectacular shots you're sure to make: Enjoy 'em. But don't break your arm patting yourself on the back. With the ever-spooky, high-flying, wide-swinging snows, you're sure to go from hero to zero in the slap of a trigger. Whether the gunning is great or inconsistent, the sights and sounds of a snow goose hunt are unparalleled. When the wind is right, you're apt to hear the reassuring, contented, but constant vocalizations -- the gabbling of snows on the distant roost -- drift over the nighttime prairie as you deploy your rig. Hopefully you'll have the work done and be settled into your blind in time to hear the excited calling crescendo, then explode into the hair-raising, thunderous roar of wings as the geese blast off the roost. Then, there they are, at first a smoke-like cloud rolling across the barely discernible horizon. As the cloud dissipates wave after ragged, undulating wave of geese spread across pre-dawn's pinkening sky like so many cracks in a shattering pane of glass. On they come, closing the distance. It's sensory overload. The sky is full of birds. Boisterous barking pounds in your ears, offsetting the rhythm in your chest. It is as if the geese have a major argument, a flight-wide debate going on. "Hurry up. Let's eat!" you'd swear some are saying. "Over there. That barley field looks good to us," the juvies might suggest. "Naw, that pea field where we fed last night is where we're headed," the knowing, elder birds insist. Just like with your trigger finger, you struggle to keep the pup in check as hundreds -- no, thousands -- of snows waver your way. The situation is beyond your control. Now it's up to the birds, as it should be. A lot can happen. A lot can go wrong. Just when things are looking up, you're busted! At 120 yards, the geese hit the wall, recognizing your setup for the trap it is. And they're outta there. Or maybe a few juvies whiffle in. You pass on the slam dunk shots hoping they'll sucker the big wad. They don't. So you make the call and settle for some marginal shooting at birds on the swing, rightly figuring they're better than nothing. p on the X, with juvenile-laced flocks battling a gusting prairie breeze under a dark, low-rolling scud, determined to get to it. For once, the birds are yours. And you make the most of it. Such was the case that dreary Manitoba morning last season. Loitering, in the dry comfort of the empty decoy trailer, we put our analysis suddenly aside as a bunch of eager, early rising snows inspected our rig, even though it was still cloaked in darkness. It was a good sign. We donned dry rain gear and went in. Sliding into my blind with the hood on my parka snugged up and the doors shut, it was a pleasant surprise to find the hauling wind at my back pretty much blowing the rain right past me, leaving my glasses fairly free of spatter. This day -- this exceptionally fast-paced day -- the birds put the spectacle in spectacular as only snow geese can. Simply materializing out of the gloom, flock after anxious, committed flock fast-closed to within comfortable gun range. Like a bunch of kids at recess we hooted, hollered and cheered for the geese, the dogs and each other as we shot ourselves into a sweat until, unbelievably, we had limited out. The uniquely satisfying, but exhausted feeling at the hunt's end, one unlike any other, seemed to explain why we do it. Like playing outside in a blizzard as a kid, we hunt the white goose because we can. Although all was really right with our world that memorable snow day, it seemed only fitting that the geese had the last word. We had a ton of butchering to do. But that wasn't all bad. The sausage, jerky and pot pies the meat from those birds provided remind us of our good fortune, and nourished our appetite for snow days to come. Any time or any place you get a chance to hunt white geese, do it. However, some times and places are definitely better than others. Probably the best, most consistent snow goose hunting occurs across the prairie provinces of Canada in late September through mid-October. Hunters get a crack at birds on their first hop down from the breeding grounds. Dealing with smaller, more workable flocks staging on multiple roost waters, hunters take advantage of both adults that have had a couple months off from gunning, and the year's gullible, never-been-hunted juveniles. Banner shoots are possible anywhere white geese fly. But as they migrate down the flyways, snows stage and move in ever larger flocks that can rarely be taken advantage of without unique (usually ugly) weather conditions. The spring conservation hunt is popular for its opportunity, but for most participants, remains a hit-or-miss proposition. The best hunting occurs later in the spring at more northern latitudes. While April's hunters will be dealing with fewer birds, the non-breeding young at the tail end of the migration, traveling without benefit of adult supervision, can provide terrific gunning. To experience a Manitoba snow goose hunt, e-mail Lewis Outfitters at rlewis@escape.ca or call (204) 727-8632.